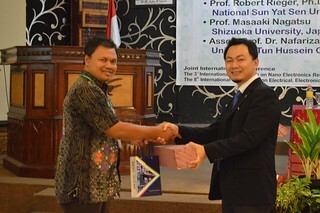 The 3rd International Conference on Nano Electronics Research Education 2016 (ICNERE 2016) and 8th International Conference on Electrical Power, Electronics, Communications, Controls and Informatics System 2016 (EECCIS 2016) were held in Batu, Malang, East Java Province, Indonesia on October 31 – November 2, 2016. 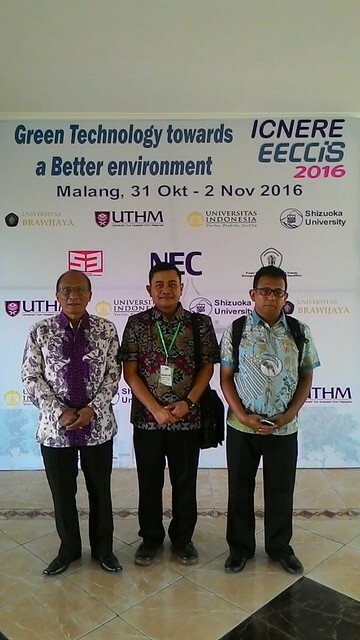 The joint international conference of ICNERE and EECCIS 2016 were organized by Universitas Indonesia (UI), Shizuoka University, Universitas Brawijaya and Universiti Tun Hussein Onn Malaysia (UTHM). 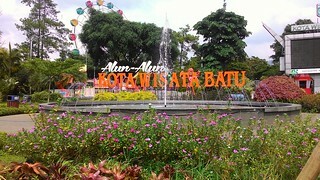 The Plaza of Batu City, Malang. 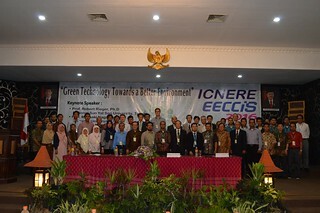 The objective of this joint conference was to provide opportunities for researchers, scientists, engineers and vendors working in the area of electric power, electronic, telecommunication, control and informatics to exchange their ideas and also to present and discuss latest results and future directions of research and application, and developments in the converging technology and educations of electrical and electronics engineering. 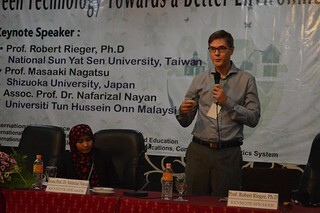 Prof. Robert Rieger, Ph.D from National Sun Yat Sen University, Taiwan. 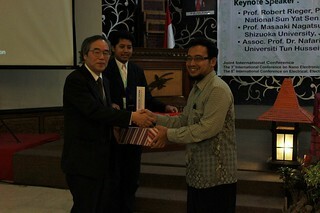 Prof. Masaaki Nagatsu, from Shizuoka University, Japan. Assoc. 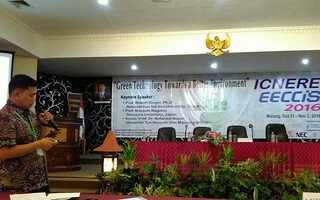 Prof. Dr. Nafarizal Nayan from Universiti Tun Hussein Onn Malaysia (UTHM). Our research group consists of Mangaraja Longgam Saragi (from Universitas Mpu Tantular), Anak Agung Ngurah Gde Sapteka, Anak Agung Ngurah Made Narottama, I Nyoman Sukarma and I Gusti Putu Mastawan Eka Putra (from Politeknik Negeri Bali) has presented a paper entitled “A Study of Electric Field of Gaussian Silicon P-N Diode” on this conference.